Image provided by Martin Fletcher. 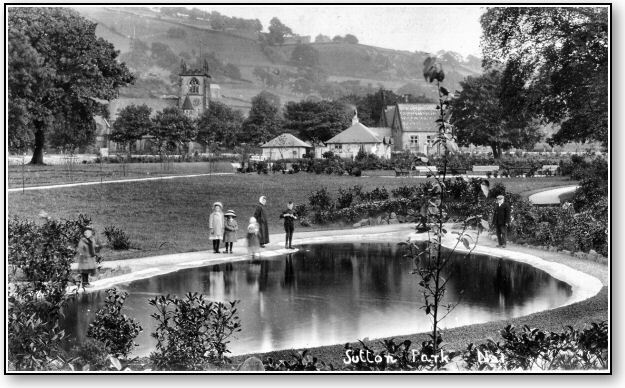 Picture postcard showing Sutton Park most likely taken between 1912 and 1916. 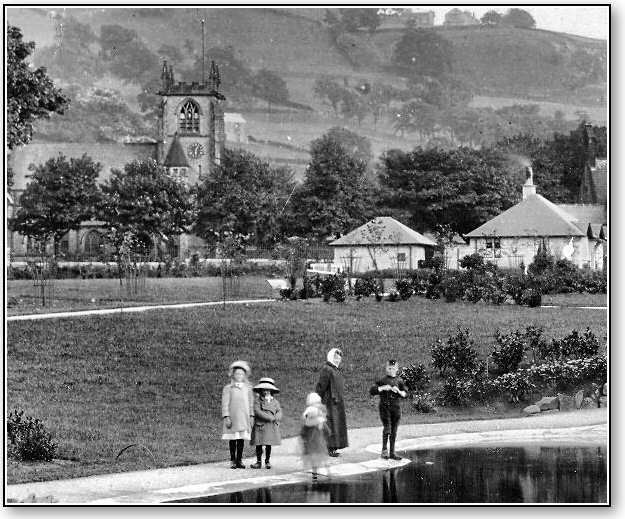 The park opened in 1912 and work was carried out on the pool in 1916 to raise the lower edge by 18 inches. In the photo the pool edges are sloping, suggesting this photograph was taken before the work was done in 1916. The fully grown trees that currently line the path down the middle of the park are only saplings in the picture, so it was probably taken soon after the park opened. Image below shows detail of the church, lodge and saplings lining the path.